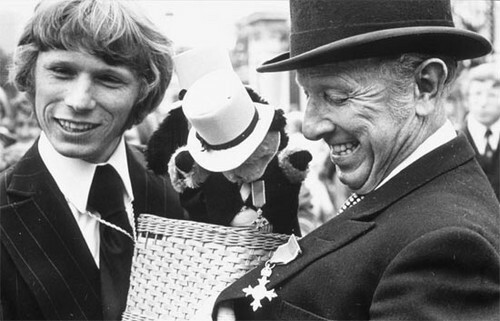 Matthew & Harry Corbett. Here is the father and son black and white picture with Sooty.. Wallpaper and background images in the Sooty mostra club tagged: sweep harry corbett matthew corbett sooty soo scampi. This Sooty mostra photo contains completo and vestito di affari. There might also be fedora, cappello di feltro, homburg, stetson, and stetson trilby.